Living a Fit and Full Life: Get Ready for Warmer Weather with COOLA - Organic Beauty Products You'll Love! 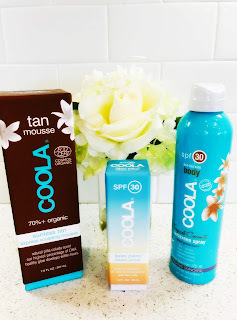 Get Ready for Warmer Weather with COOLA - Organic Beauty Products You'll Love! Get ready for warmer weather with COOLA, the organic beauty products you'll love! Warmer weather is already here in my state which means I will definitely need to amp up my sun protection. COOLA has everything you need to enjoy the sun and look beautiful while doing it! COOLA's Dawn Patrol Makeup Primer Sunscreen SPF 30 is my new favorite primer! Not only does this product help my skin look brighter and my pores disappear, but it contains an SPF 30 to help protect my skin from the sun. I also love that it doesn't make me breakout like most primers. It's absolutely amazing! 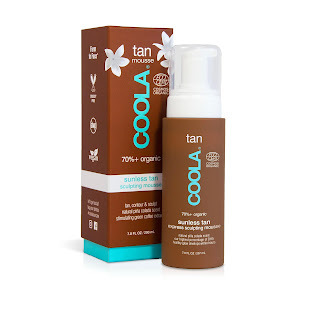 Organic Sunless Tan Express Sculpting Mousse from COOLA is the perfect way to get a gorgeous glow this spring! It works terrific on your face and body to give you a golden, gorgeous color in a matter of hours. It also helps your skin to feel a little smoother and firmer thanks to its proprietary blend of natural green coffee extracts and plant stem cell culture from the Gotu Kola plant known to help smooth skin and reduce signs of skin aging. You will definitely love this this product! 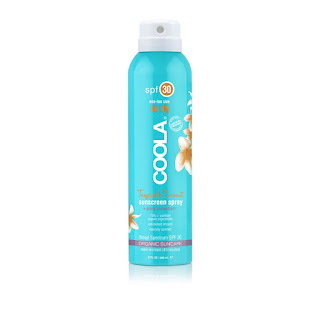 COOLA's Classic Body Organic Sunscreen Spray SPF 30 is the perfect sunscreen spray! This Eco-Lux size organic Sport SPF 30 Continuous Sunscreen Spray is the spray that keeps misting even when it's upside down. It makes covering your entire body a breeze so you can be sure you don't miss a spot. It's a sheer, water and sweat-resistant organic formula that is packed with antioxidants and skin-nourishing ingredients to protect your skin while helping it look its best. It absorbs quickly without a greasy feel and is a must have for warmer weather! COOLA has everything you need to get ready for warmer weather! Click HERE to find a store near you that sells COOLA! Click HERE to learn more about COOLA! Follow COOLA on social media!